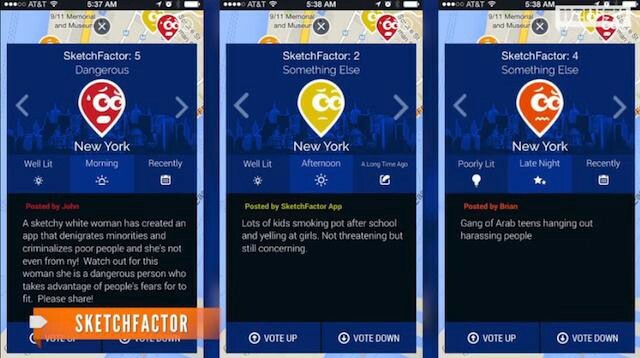 The SketchFactor app, which is intended to provide users with warnings as to the location of “sketchy” neighborhoods, was launched last Friday to near-universal howls of protest. The most common complaint was one of racism. 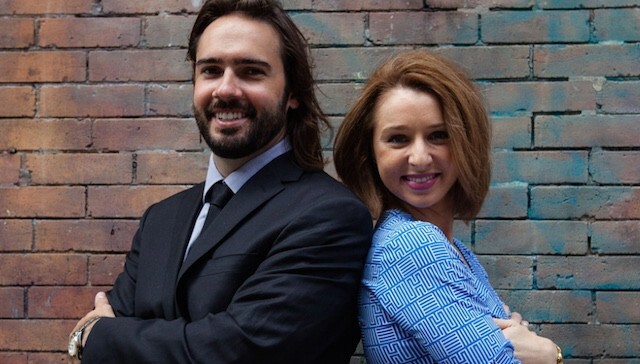 Among dozens: “White duo behind app to avoid ‘sketchy’ neighborhoods is shocked to hear it’s racist,” said The Raw Story; “Smiling Young White People Make App for Avoiding Black Neighborhoods,” wrote Sam Biddle in Valleywag. SketchFactor works like this: users can tag locations with their impressions of “sketchiness” determined according to the “Sketch Point Legend.” In addition to crime, you can report a “Bizarre Discovery” or a “Strange Encounter.” Visitors consulting a map will see all the reports aggregated into little geotags expressive of varying degrees of worry — the highest score, of 5, is expressed by a distressed-looking little red dude who is clearly about to burst into tears. It’s difficult to fathom, from even a cursory glance at the graphics, how SketchFactor managed to get all the way through development. But is there any way that McGuire and her co-founder, Daniel Herrington, could have pitched their use of this data to the public in a way that would have made it more generally acceptable? Could they have framed it as an app that recommends places to go, for example, rather than places to avoid — like a dowsing rod for gentrification? Can the data they are collecting be somehow combed out into a value-neutral state? If so, how? Or is the data collected by SketchFactor inherently polluted, or even in some way immoral? If data can be value-neutral — and therefore valuable for people to use in making their own determinations about what to buy or use, or where to visit — then this is exactly the opposite way to go about gathering it. So far, SketchFactor amounts to little more than a giant comments thread for neighborhoods, and what are comments threads but catnip to those most eager to judge most harshly, and most unfairly? Even if some sort of perfect data source could exist in ideal circumstances, compiled with the aid of companies or organizations that don’t yet exist, it would not matter: That human beings can be examined and MRI’d and profiled, that somehow an algorithm will emerge which anticipates everything we need, everything we want, is first of all entirely ludicrous; such formulae and experiments and schemes can only be devised according to what human beings already have been, not what they might yet become (what we might call the Minority Report Effect). The poverty of imagination that drives these parched little fantasies is consequently pathetic. Not everything can be measured, thank god. Outlandish surprises are all that have ever saved humankind; to dream of systems that serve only to inhibit the operations of chance, accident or uncertainty is foolhardy. Also just plug-ugly. It bears mentioning, too, that where there is money to be made, the results are liable to be cooked in a different way. Consider the example of Yelp, with its long experience of collecting and serving crowdsourced data, and the legal troubles it now faces over the deliberate pollution of its results. Which brings us to the larger practical reason these tools should be viewed with suspicion. Even if SketchFactor could predict with perfect accuracy whether a user might be in some danger of getting mugged, using, I don’t know, some complicated algorithm devised using Google Maps, Facebook profiles, Venmo activity, Foursquare and data of its own, its trustworthiness would always be in question so long as there is a commercial advantage to be gained from exploiting data. Which, in our current situation, means pretty much always.